The market thought that President Donald Trump would do everything to make the U.S. summit with North Korea work, but that didn’t happen, closely followed trader Art Cashin said Thursday. Instead, stocks fell intraday Thursday, with the Dow at one point slumping more than 180 points, after Trump announced that he had canceled the Singapore summit with North Korean leader Kim Jong Un that was scheduled for next month. 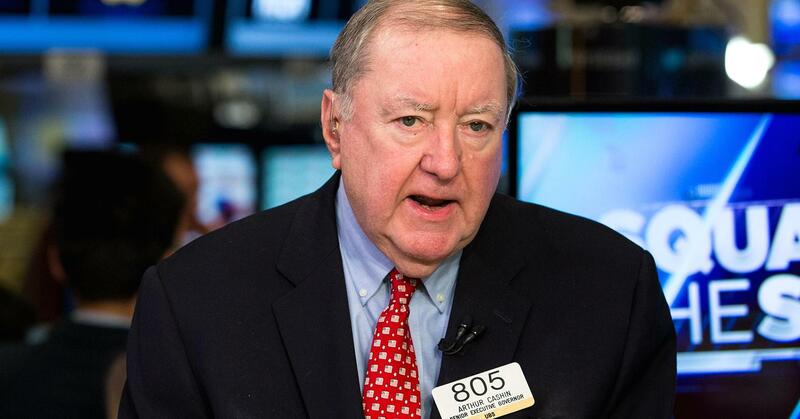 Cashin told “Squawk on the Street” that the market could come off its lows because investors may realize that Trump’s cancellation of the meeting with North Korea is part of the president’s ‘Art of the Deal’ approach. The markets’ decline on Thursday is also due to the Commerce Department’s investigation into whether the surge in automobile imports threatens to “impair” national security by “weakening” the U.S. economy, Cashin said. “We’re back to nose to nose on warfare negotiations and certainly nose to nose on trade policy,” Cashin said, adding the Trump administration has had “enormous swings” in its stances on certain issues. Commerce Secretary Wilbur Ross on Thursday defended his department’s investigation. Toyota‘s U.S.-traded shares were lower on the news, while domestic auto stocks were mixed. 0 responses on "Stock drop reflects mistaken assumption Trump would make summit happen"